Are you stuck on, revved up, and moved by someone you rate as sky-high? Well then…bring your honey to Luna Love on Valentine's Day and feel all of these emotions again and again on the ground and up in the air! Create those BIG love vibes at Luna Park's special 'Luna Love' event complete with unlimited rides guaranteed to make you topsy turvy in love this Valentine's Day! Melbourne's most loved amusement park is inviting all love birds to come enjoy an evening of games, sweet treats and unlimited rides on Thursday 14th February, from 6pm until 11pm. 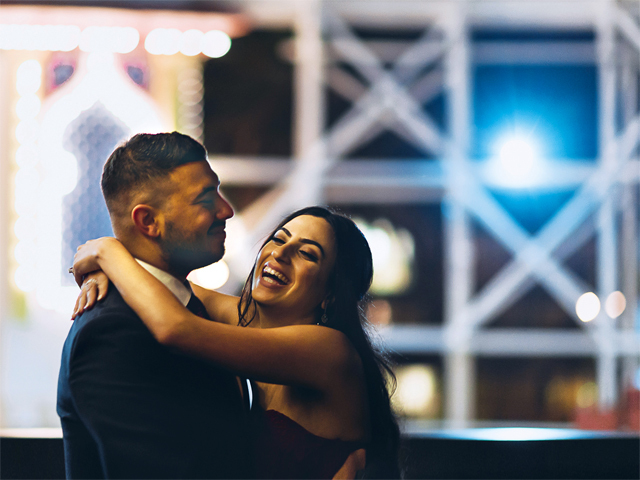 On the night attending couples will be sure to feel the romantic vibes as they cuddle close on the exhilarating rides including the famous wooden Great Scenic Railway to reach the top and catch a glimpse of the beautiful sunset over Port Phillip Bay! Only $75 per lovely couple, Luna Love will be everything you wish for and more. Go on, be daring and add some extra romance to your love story this Valentine's Day at Luna Love as you rotate around the Park's many attractions feeling sky-high with emotion. Then for a refreshing breather stroll around with your partner-in-crime taking time to savour your treats and watch the stars come up in the sky over Melbourne's stunning heritage amusement park jewel.